Nigeria’s Deputy Senate President, Ike Ekweremadu, his wife Nwanneka Ekweremadu and son on Tuesday survived an assassination attempt at his Apo Quarters in the country’s capital, Abuja. 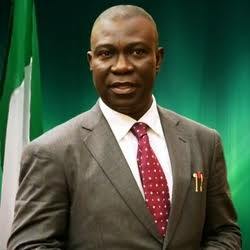 “The Deputy President of the Senate, Senator Ike Ekweremadu, his wife, and son escaped an assassination attempt at about 4 am on Tuesday,” Uche Anichukwu, special adviser on media to the Deputy President of the Senate disclosed in a statement, Guardian has reported. One of the yet to be identified gunmen who discreetly evaded the security has been arrested by the police in Abuja after their invasion into Ekweremadu residence. “The attackers, who could not immediately shoot in order not to attract the attention of the security personnel on duty, took hold of his son, and commanded him to lead them the Senator’s bedroom,” the official said. Anichukwu said it was the struggle that ensued in the senator’s bedroom that alerted the security, leading to the arrest of one of the assailants with dangerous weapons and housebreaking devices, while the rest managed to escape. “The arrested member of the gang has, however, refused to divulge any information on the operation and has been handed over to the police,” Anichukwu said. In November 2015, there was also an attempt on the Senator’s life in Abuja where he escaped narrowly.